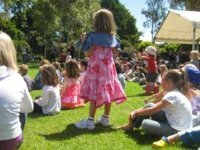 .......(as long as there's not a festival on - then it's a place to avoid unless you like chaos!). 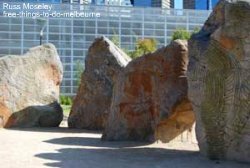 It's Melbourne newest major park and is right behind Federation Square, by the Yarra River. .......Birrarung actually means 'river of mists' while Marr refers to the side of the river. ......The best time to visit these bells is between 8-9am, 12.30-1.30pm or 5-6pm when the 39 bells ring. 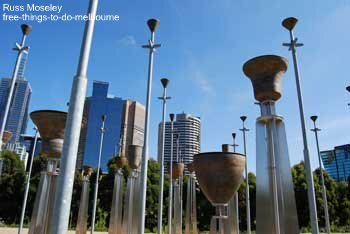 The bells play tunes composed by 7 different Australian composers. It's certainly something I've never come across before......definitely worth a visit. 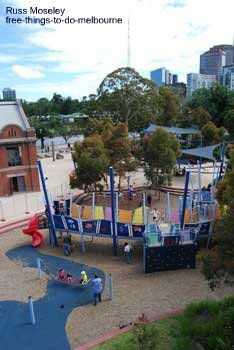 Check out the map below to find the park.